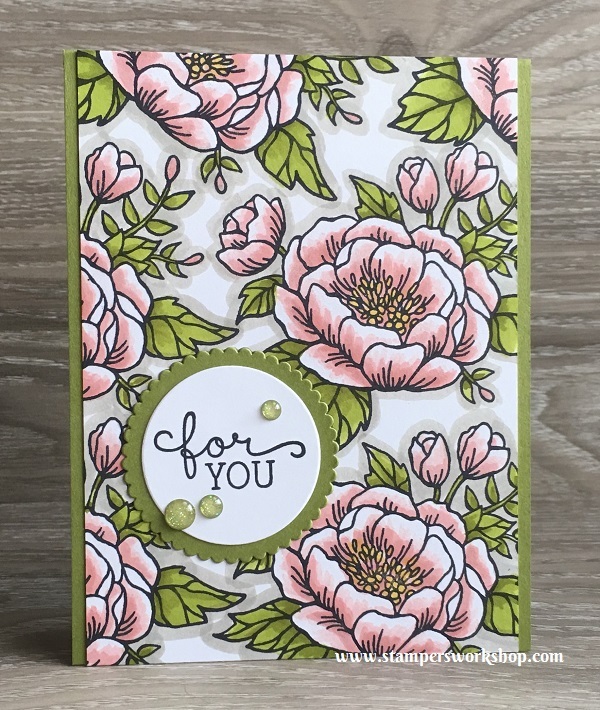 Hi, have I mentioned how much I love the Birthday Blooms stamp set? Only a few times, right? 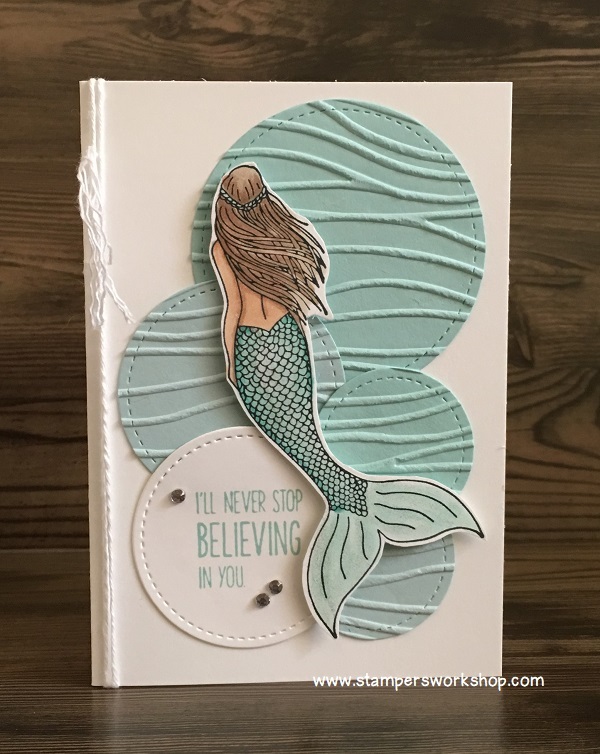 I love how many different types of cards you can create, or you can create very similar cards but use different colourways, and they all look so fantastic. I really feel stamp sets like these offer such great value for money. I had been wanting to experiment with the combination of the new colour Poppy Parade and Melon Mambo to colour the floral image. I thought the combination might create a really pretty pinky red. I used my Aqua Painters to apply the colour to Shimmery White Cardstock. I also used Basic Black and Granny Apple Green to finish off the design. Once finished, I trimmed it out and put it aside. I decided to keep the card itself very simple with the floral image the main star of the piece. I thought a nice white background would be the perfect stage for it but it needed a little texture. 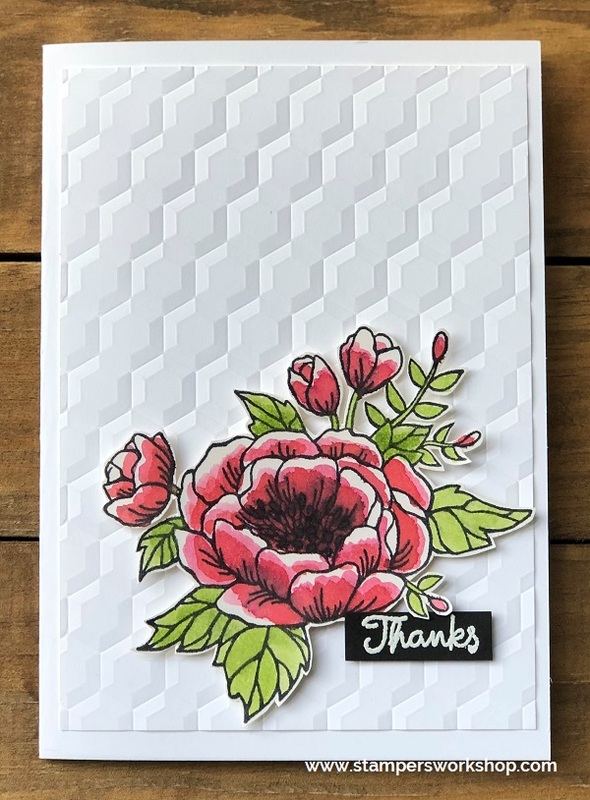 As I was flicking through my embossing folders I couldn’t decide between the Layered Leaves Dynamic Textured Embossing Folder and the Hexagons Dynamics Textured Embossing Folder so I decided to use both and create two cards. For the first card, I used a landscape design and featured the Layered Leaves Dynamic Textured Embossing Folder. For the second card, I used a portrait design with the Hexagons Dynamic Textured Embossing Folder. I love the combination of the Poppy Parade and Melon Mambo and hope to experiment further with it in the future. I also love the elegance of the cards and I think it would look lovely in any other colour combination too. One idea could be to create a white flower on the white background. Another idea could be to emboss the flower in gold and use a corresponding sentiment also embossed in gold. I think that would be really lovely as well. And now you can tell why I spend so much time working with the Birthday Blooms set. There are just so many different ways you can use this set. 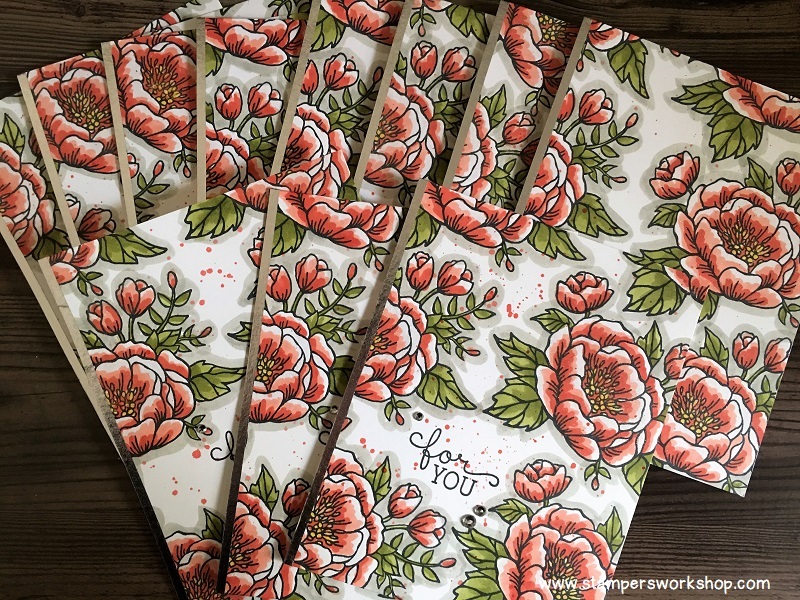 If you love the Birthday Blooms set, it is available in my online store until May 31st, 2018. 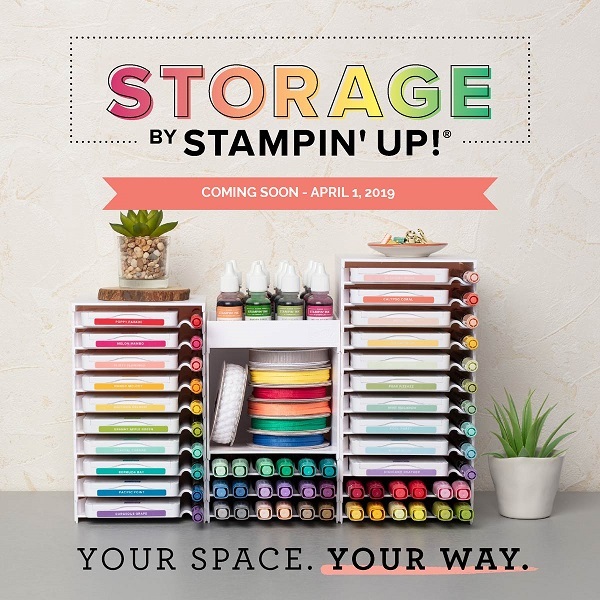 Hi, whilst I am very excited to see all the new items coming our way in the 2018-2019 Annual Catalogue, there are a few stamp sets which have been favourites of mine and I am so sad they are retiring. 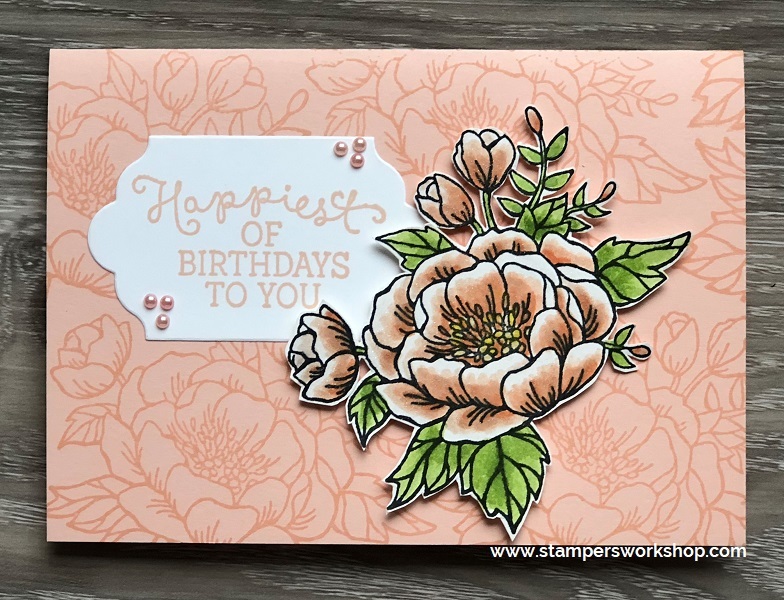 One such stamp set is Birthday Blooms. This is one of the first sets I purchased when I signed up to be a Demonstrator. I *LOVE* it! I have made so many cards with this set. It also happens to be one of my favourite stamp sets to make “similar but different” style of card sets. Today I am sharing two cards which are “similar but different” and they are using new colours coming to the range. 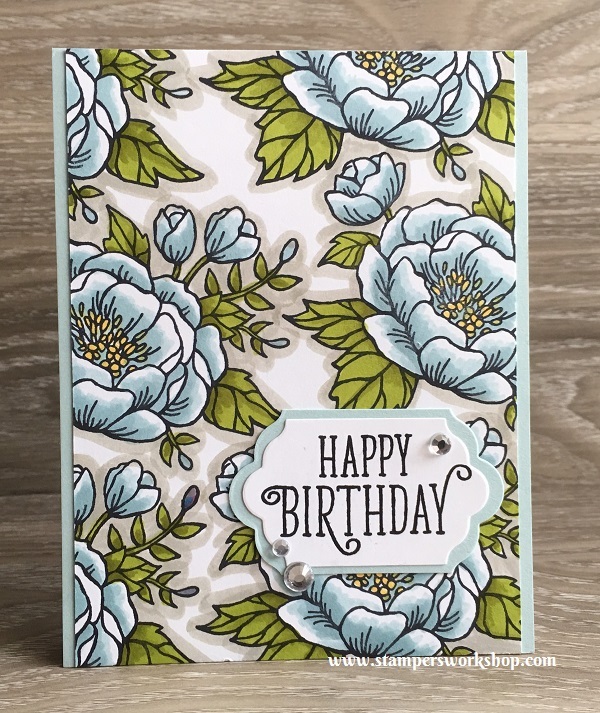 I have made a LOT of these cards in the past so if this design is of interest to you, search for Birthday Blooms in the Search bar or click on the Birthday Blooms tab. My colour palette for this card is the new Lovely Lipstick, Granny Apple Green and Pineapple Punch. Such a pretty combination! I coloured directly onto the paper (Shimmery White Cardstock) with the markers but I also used my Aqua Painters to paint some of the colours (the leaves and the petals) to get some lovely shades. 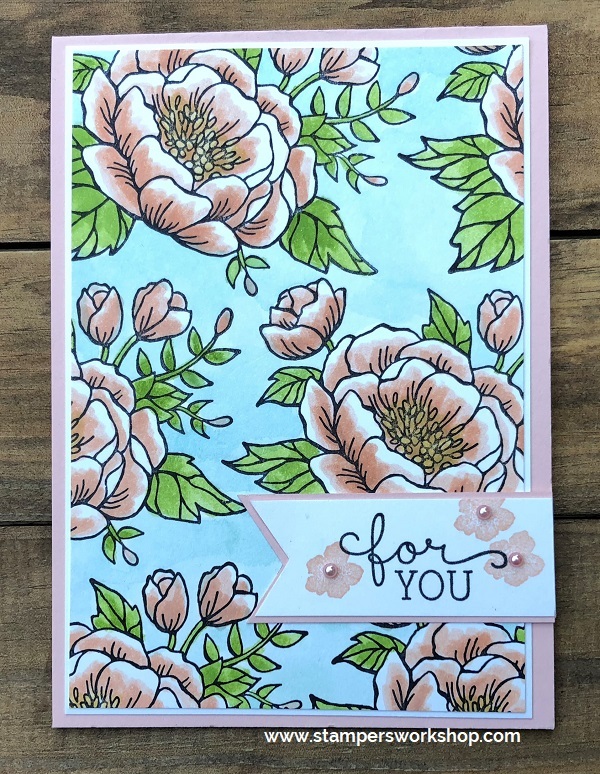 For my second card, I wanted to show you that you can create softer cards using this same method and they look equally as good. My colour palette is Petal Pinks, Granny Apple Green, So Saffron and Balmy Blue. Once again, I used a combination of colouring directly onto the paper (Shimmery White Cardstock) and painting with my Aqua Painters. 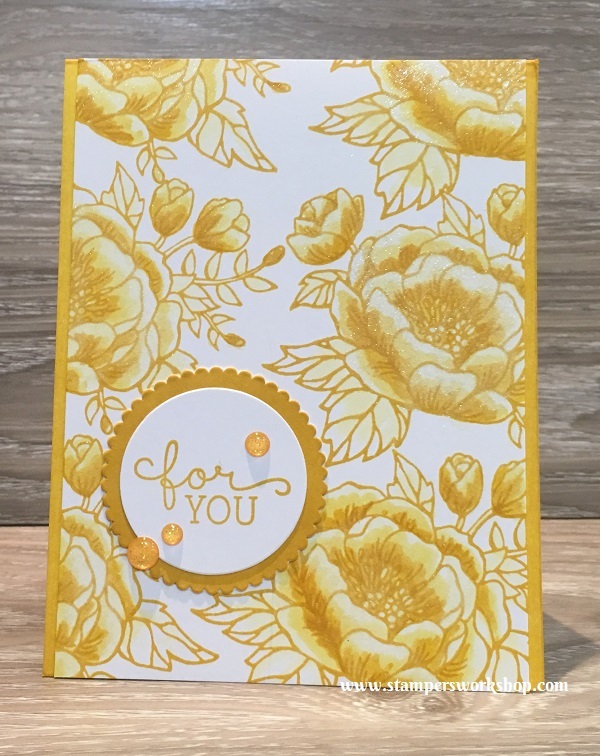 I could sit and make cards like these all day! I love playing with different colour combinations and I love colouring! 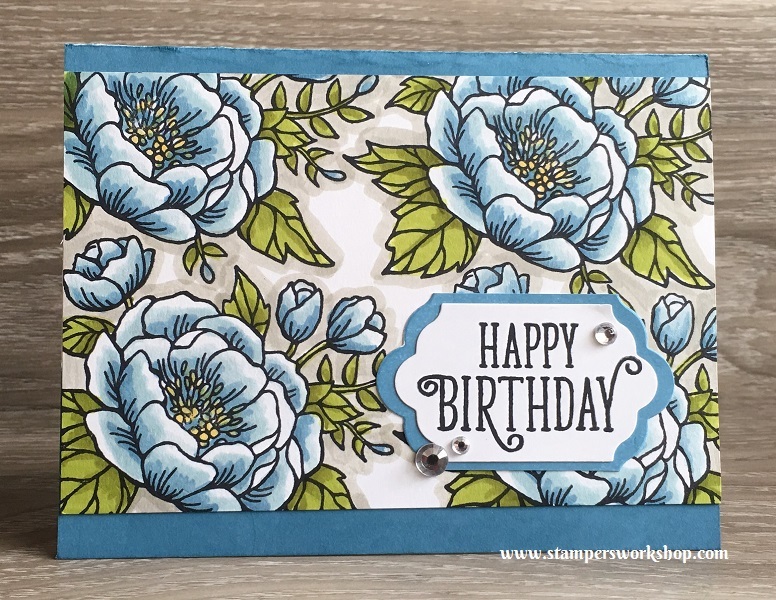 And, of course, I just love the Birthday Blooms stamp set. If the Birthday Blooms is a favourite of yours too, it is still available in my online shop but only until May 31st, 2018. Hi, today we are taking a trip back down memory lane. I made this card a little while ago but forgot to share it with you all. Whenever I find a design I love, I tend to make multiple cards. I usually end up varying them in some way such as the colours used (or even the colouring medium used), or the sentiment. It is really fun playing around with the designs like this. 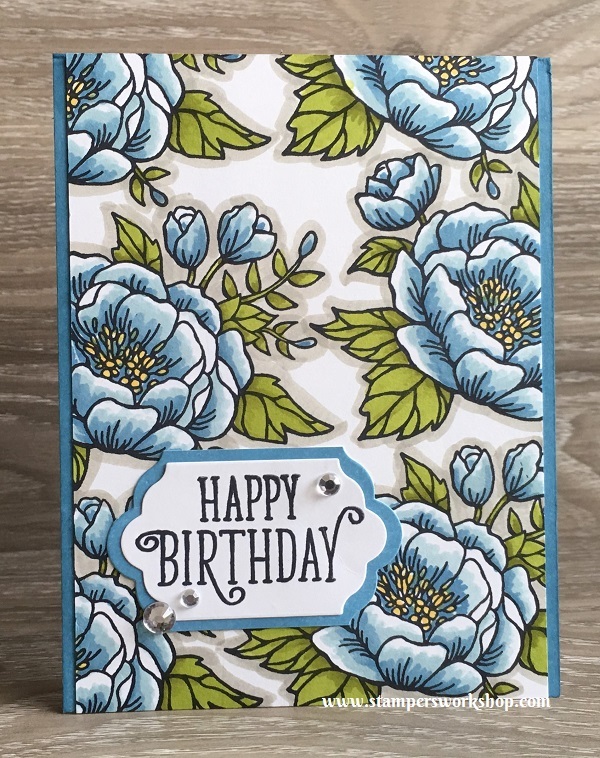 The card I am sharing today features one of my all-time favourite stamps Birthday Blooms, along with one of my favourite card designs. 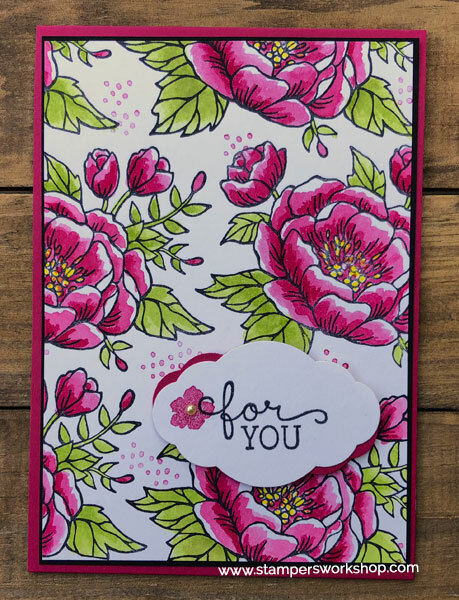 If you love to colour, like I do, it is so easy to whip up a few of these cards to have in your stash. 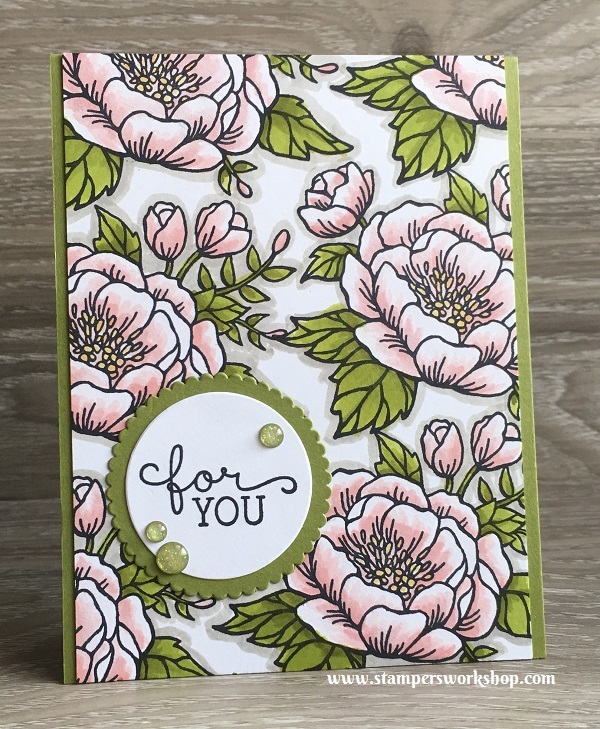 Hi, you’ll all have to humour me as I share yet another card using the Birthday Blooms stamp set. I hope this shows you that you can create any number of cards using your stamps. Even when using the same basic design formula they end up being different when you apply a different colour scheme, sentiment, and the like. I also wanted to share with you one way to decorate the inside of your cards. You don’t have to decorate but I find myself doing it more frequently these days. 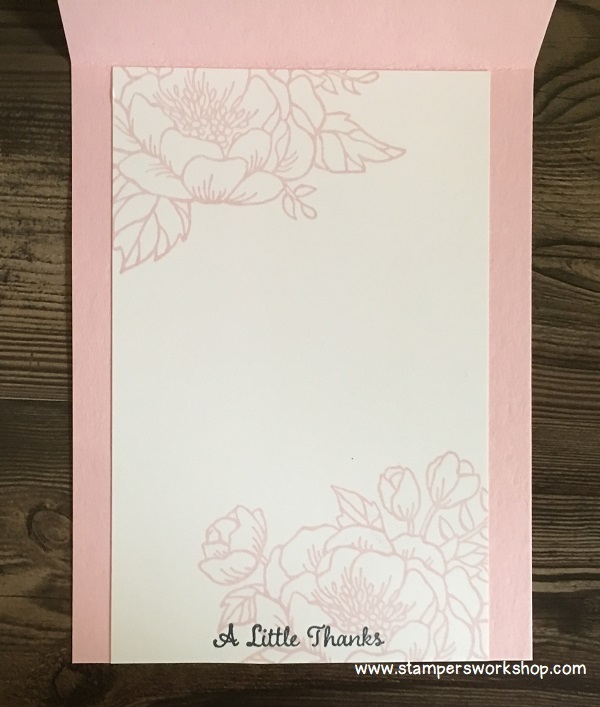 When I have created a card using dark cardstock, I always add a white cardstock panel so that I can easily write my message. I usually stamp an image which relates to the front of the card. I used this same design for the inside panel of a card I have shared in an earlier post. 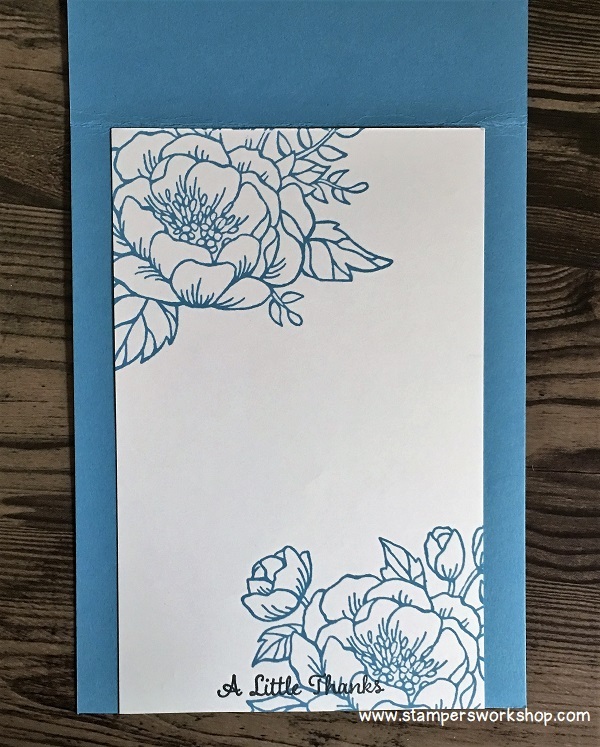 There are so many ways you can decorate the inside of cards – and they definitely do not have to be fancy. I try not to cover up too much of the white space as you never know how much you need to write. Hi, today I return to share a variation of a favourite card design of mine. I have been making a lot of card swaps for the upcoming OnStage event (which I will tell you more about tomorrow) and once I had finished I just felt like colouring! 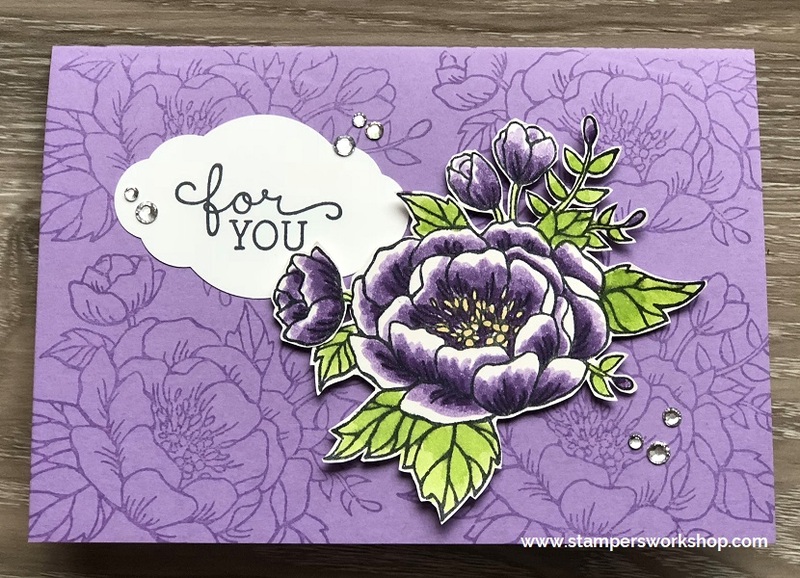 The floral image in the Birthday Blooms stamp set is one of my favourite things to colour! 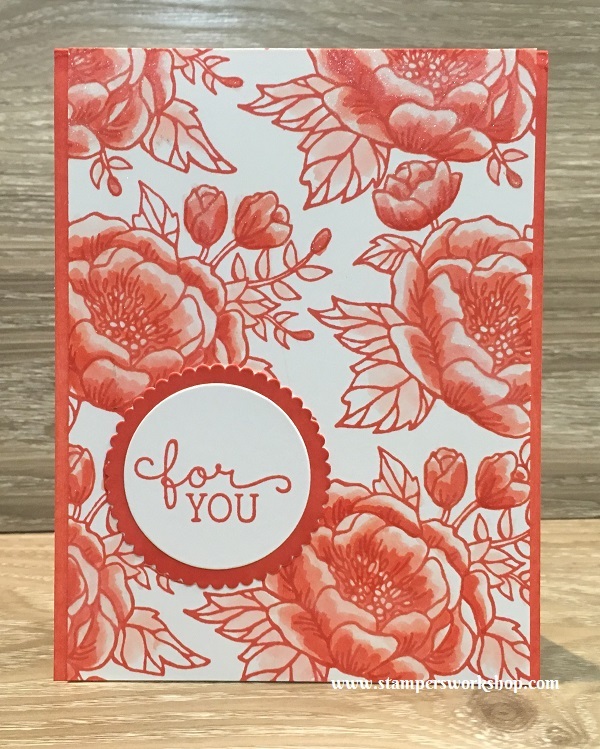 I used the fabulous new Stampin’ Blends to colour this design and outlined it with Sahara Sand Stampin’ Write Marker (this colour is not currently available in the Stampin’ Blends range). 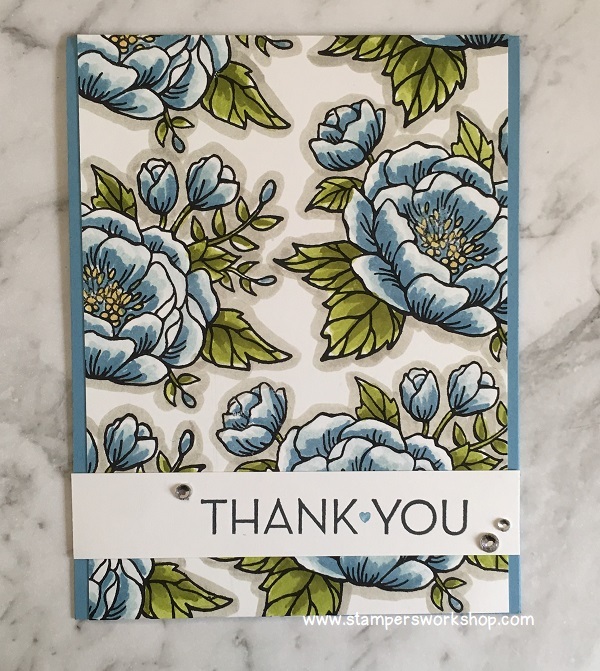 If you caught my recent Facebook Live, you would have seen me share some of the added benefits of the Stampin’ Blends which includes colouring the clear Rhinestone Basic Jewels. This means you can perfectly match any rhinestone to your project. I didn’t mention it during the Facebook Live but you CAN also colour the Pearl Basic Jewels and they look so very pretty. 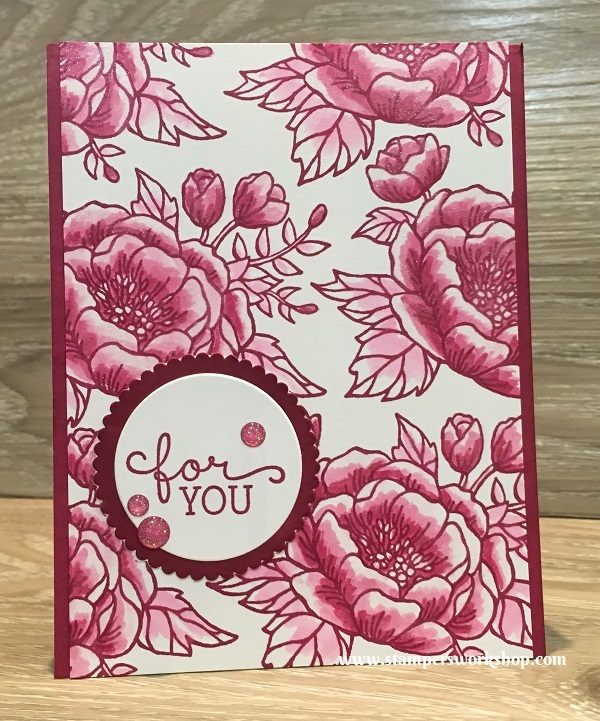 For the card below, I used the Dark Pink Pirouette Stampin’ Blends to colour the Pearl Basic Jewels. Isn’t it pretty! And so easy to do! If you love to colour, this stamp set might be one that you too will love. 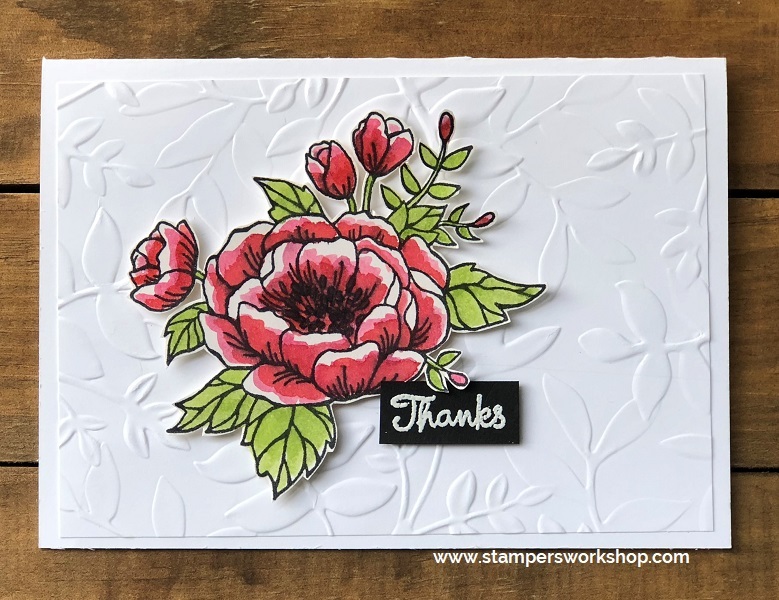 One of my favourite things about stamping is the amazing range of different designs and looks you can achieve using your stamps and inks, not to mention cardstock and designer paper. 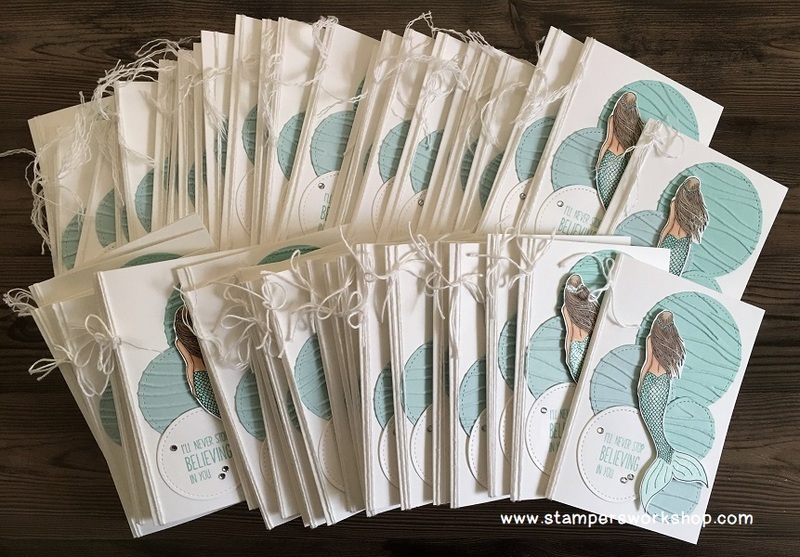 It is my current intention to really try and maximise my use of each stamp set I own and this is why you will see so many “similar but different” cards from me. I don’t want to use a stamp set once and put it away for it never to see the light of day again. 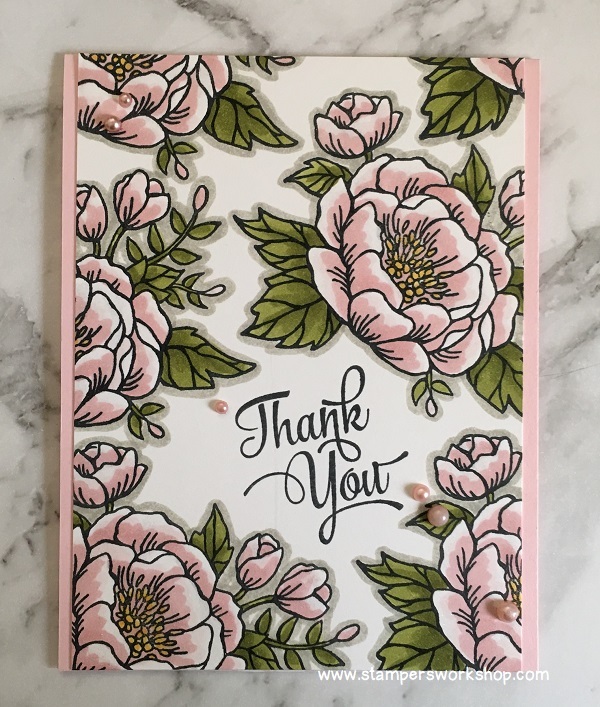 Another reason you will see so many “similar but different” card designs is that I am fascinated with how the same card design can look so different depending on such things as our colour choice, the colouring medium used, as well as embellishments used. 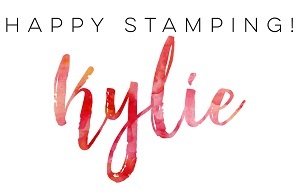 After my post regarding using one inkpad and the Birthday Blooms stamp set, I was thinking about all the different ink colours in the Stampin’ Up! range and how I could have used any of them to have coloured my card. Of course…I then had to try some more. A couple of hours later, I had another four cards in this set. 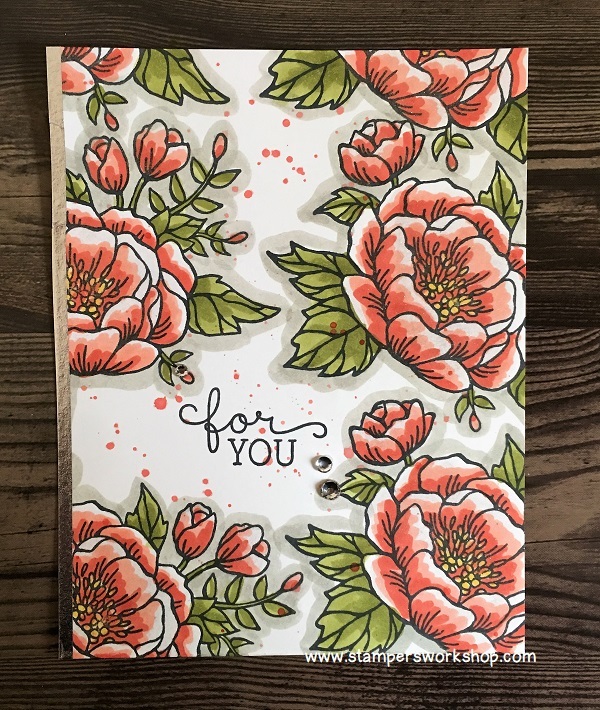 How fun would it be to make a set of cards in this style to give as a gift? Anyway, I really could have created many more cards but stopped after the four you will see below. 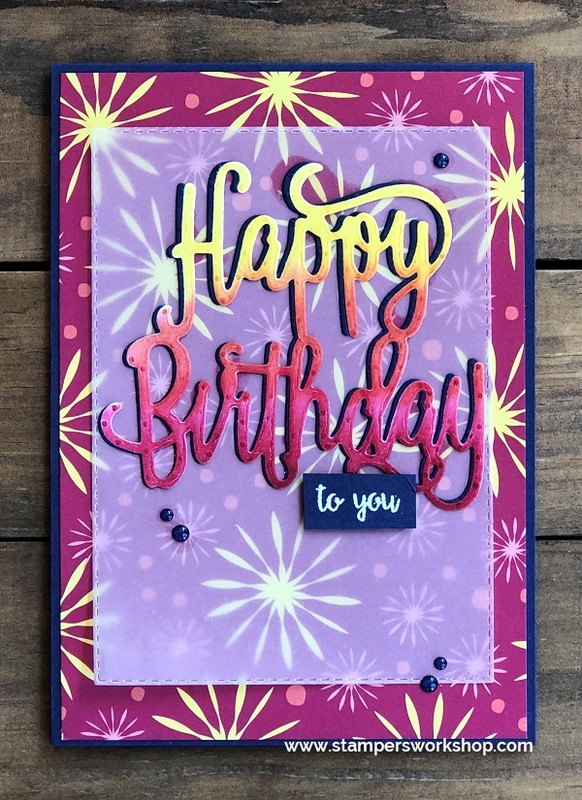 Materials used: Stamps – Birthday Blooms (140658); Cardstock – Thick Whisper White; Inkpad – Berry Burst; Dies – Layering Circles Framelits; Glitter Enamel Dots and Wink of Stella. 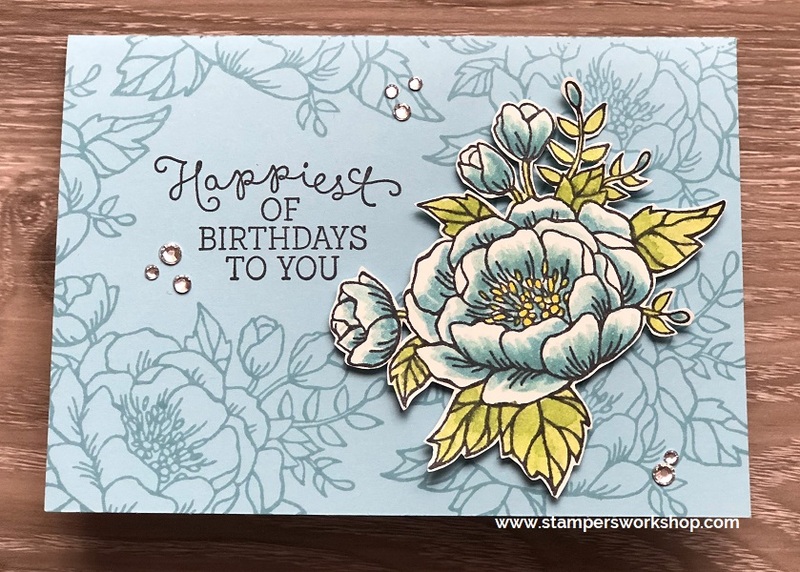 Materials used: Stamps – Birthday Blooms (140658); Cardstock – Thick Whisper White; Inkpad – Calypso Coral; Dies – Layering Circles Framelits; and Wink of Stella. 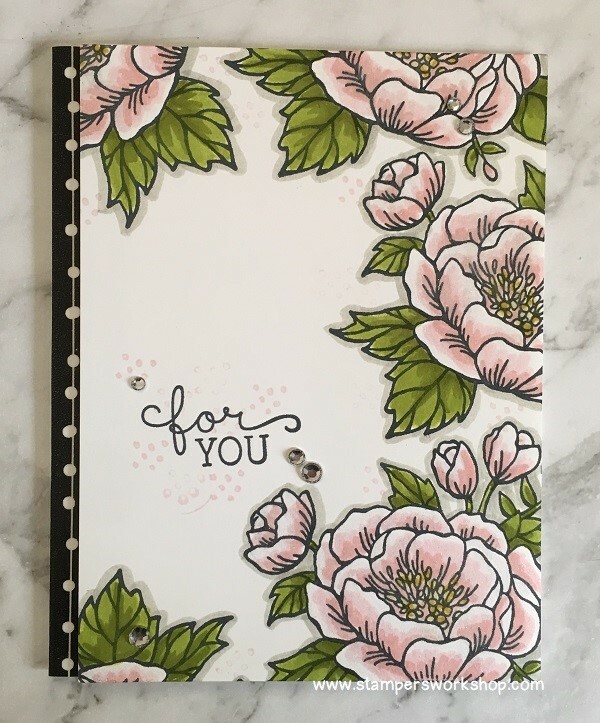 Materials used: Stamps – Birthday Blooms (140658); Cardstock – Thick Whisper White; Inkpad – Crushed Curry; Dies – Layering Circles Framelits; Glitter Enamel Dots and Wink of Stella. 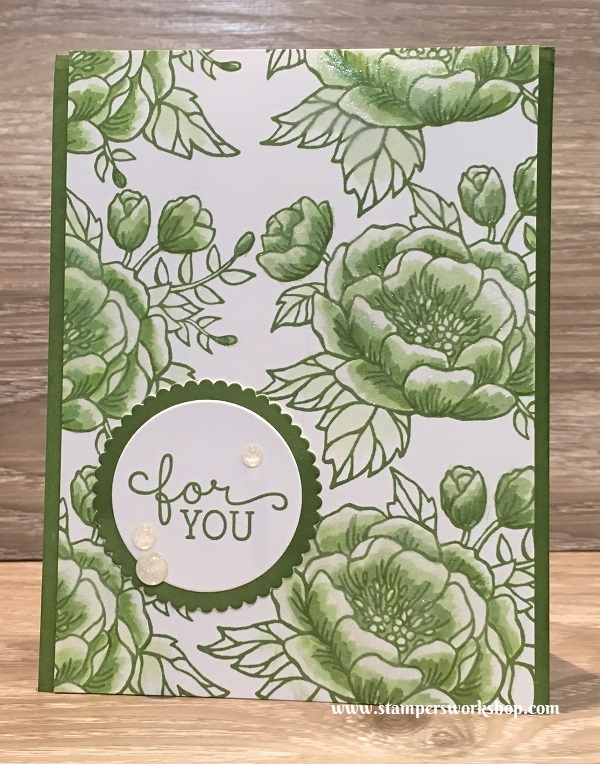 Materials used: Stamps – Birthday Blooms (140658); Cardstock – Thick Whisper White; Inkpad – Wild Wasabi; Dies – Layering Circles Framelits; Glitter Enamel Dots and Wink of Stella. Thank you so much for stopping by today. I hope you enjoyed seeing some more cards in this series.